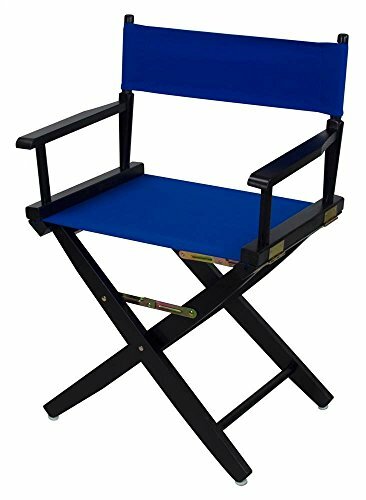 Extra-Wide Premium Directors Chair with Royal Blue Canvas by Casual Home at RVTE. Hurry! Limited time offer. Offer valid only while supplies last. Wider seat provide extra comfort. Warranty: 90 days. Made from 100% solid American oak wood. Black finish. No assembly required. Seat height: 18 in..
Wider seat provide extra comfort. Warranty: 90 days. Made from 100% solid American oak wood. Black finish. No assembly required. Seat height: 18 in.. Overall: 25 in. W x 16 in. D x 32 in. H. Our signature directors chair just got better. A perfect match of versatility and luxury.